Come friends and family - let’s gather around the fire. Cozy fire pits and custom outdoor fireplaces. A fire pit or outdoor fireplace is a great way to enjoy the outdoor spaces at your home with friends and family. Fire features add a level of comfort, ambiance and sophistication to any outdoor space and often becomes the place where memories are made. Whether wood burning or a gas-powered, flip-of-the-switch design, the expertly crafted fire features from the team at Proscapes are sure to wow. 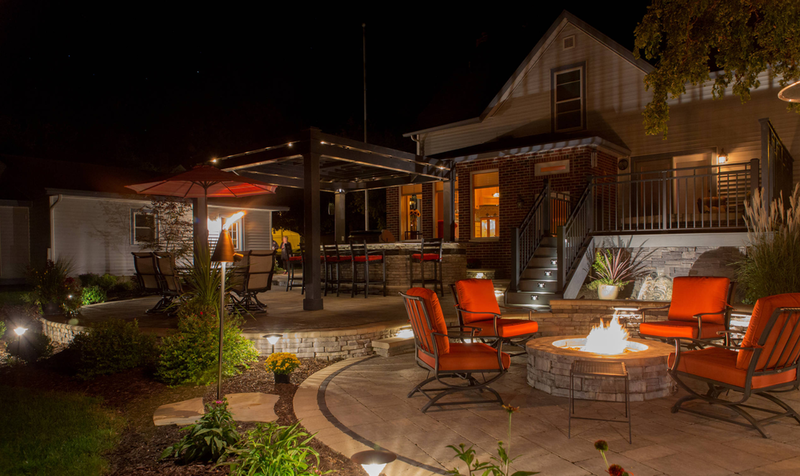 Constructed using only the best concrete and natural stone products and designed into the overall landscape so it is perfectly performing, our fire features often become the center of the outdoor living rooms we build.